The Road to Super Bowl LI truly kicked off with the first taste of play-off action, as 8 teams took to the field in the Wildcard Weekend. As it turned out, the pretenders would be put in their place as 4 of those teams surged into the divisional round in style. Home advantage? You belt. All home teams won by significant margins on the weekend, with Green Bay Packers' dominant victory over the New York Giants topping the lot. Joining them are the Seattle Seahawks, Pittsburgh Steelers and Houston Texans - who hope to have that same home advantage when NFL's biggest game comes to the Lone Star State next month. Here, we comprehensively recap the four Wildcard play-off games. 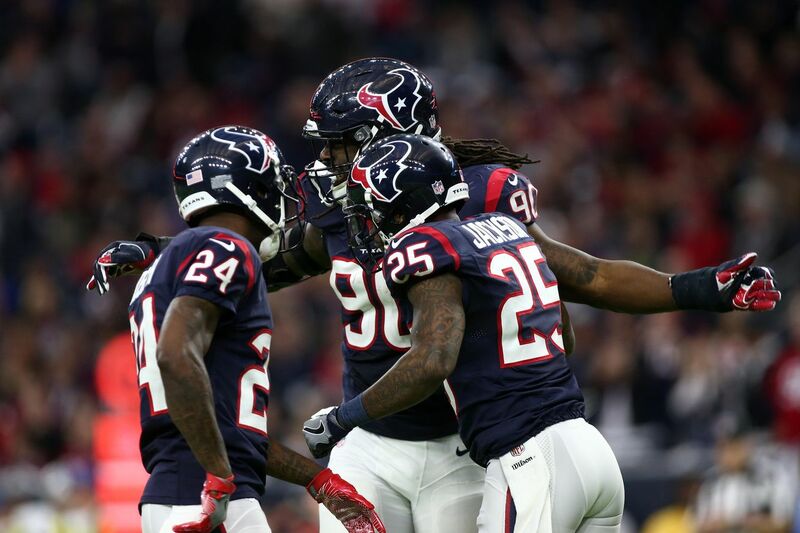 Houston Texans snatched the first spot for the divisional round by seeing off a depleted Oakland side at the NRG Stadium - keeping their hopes alive to play in Super Bowl 51 which will emanate from the same stadium at the end of the postseason. 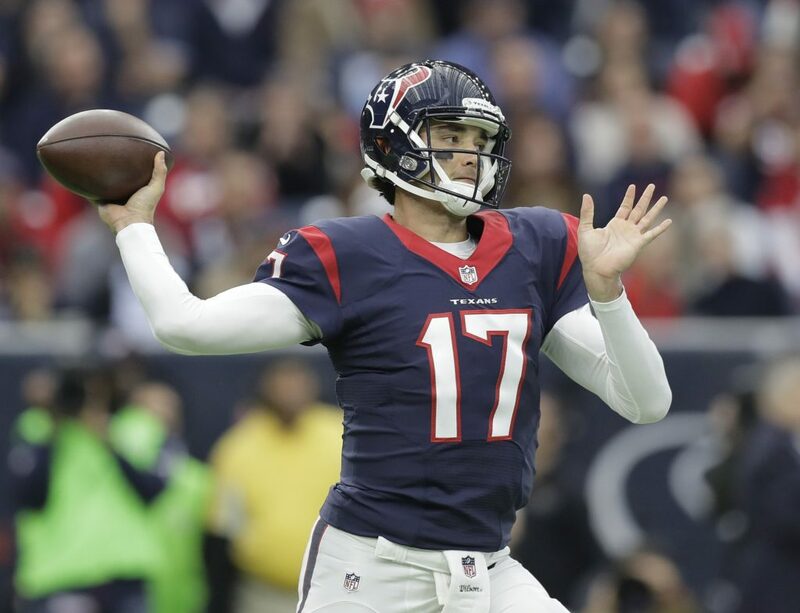 Brock Osweiler was at the heart of the defence and found the end zone on three occasions to tot up 168 passing yards - although a lot of the credit was warranted for the defence, who allowed a conservative game plan to get the job done. Nick Novak got the first points on the board with a successful 50-yard punt right down the middle, and things would just get better for the hosts when Jadeveon Clowney made a superb interception, creeping past the 10 yard line. Running back Lamar Miller capitalised as he darted into the end zone on the 1st and goal. It was closer though by the end of the first quarter, as Latavius Murray forced his way in after strong running by himself and Jalen Richard to get into scoring territory. Following another successful kick from the special teams unit, Houston again found themselves pitching in Raiders' territory, and Osweiler's high, searching throw would fall into the hands of Seth Roberts to push the Texans towards another TD. From there it was a straightforward for the quarter-back to find Roberts again, and by half-time Houston were up 20-7. That score held into the fourth quarter, until Osweiler then added some rushing yards of his own with a fantastic play-fake to get the third touchdown for Houston. 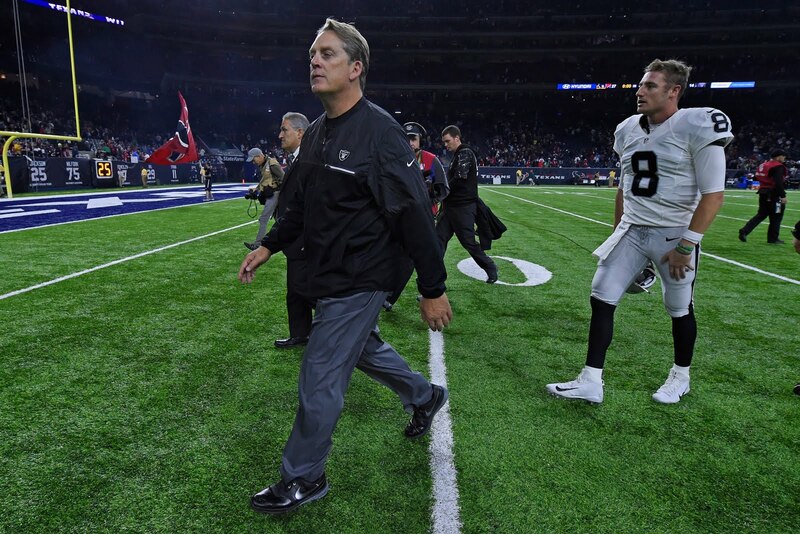 The Raiders would convert from their touchdown later in the quarter, but in the last minute an interception from Bouye confirmed the inevitable: a victory and progression for the Texans. 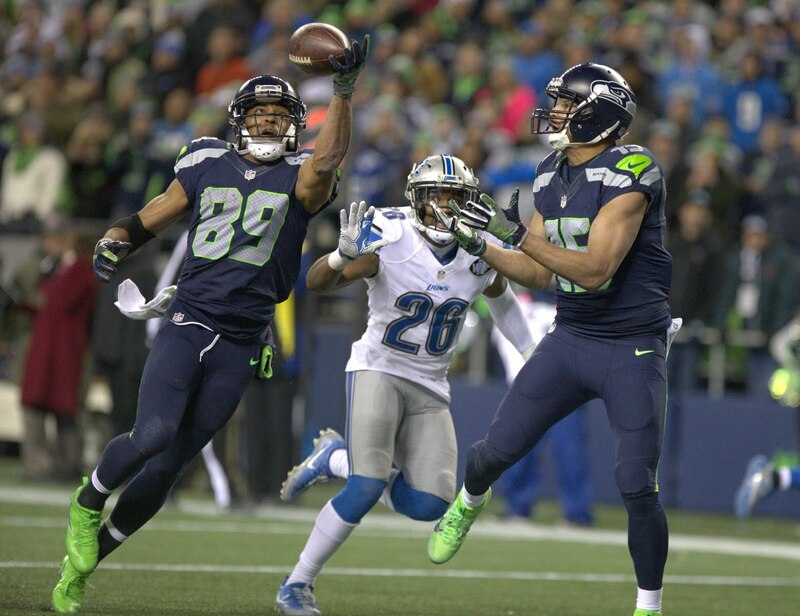 The Detroit Lions' play-off drought was prolonged by a far too powerful Seattle Seahawks, with Paul Richardson making some jaw-dropping catches to steal the headlines. Following a scoreless first quarter, Detroit's sloppy play was finally punished. After they were thwarted when trying to run the ball on 4th & 1, Seattle charged their way upfield, and with the end zone ever so near on the fourth down, Russell Wilson's looping throw was caught by Paul Richardson on one hand, who was also leaning on his foot mid-jump trying to wrap his way around his opponent. To close out the first half, both teams would add an extra 3 points to the board with successful goal kicks, but the Seattle fans were as charged as ever. The Lions had seemingly been tamed even with two quarters of football left to play. While the visitors did manage to apply some pressure when they cut the lead down to 4, the deficit would soon be restored. 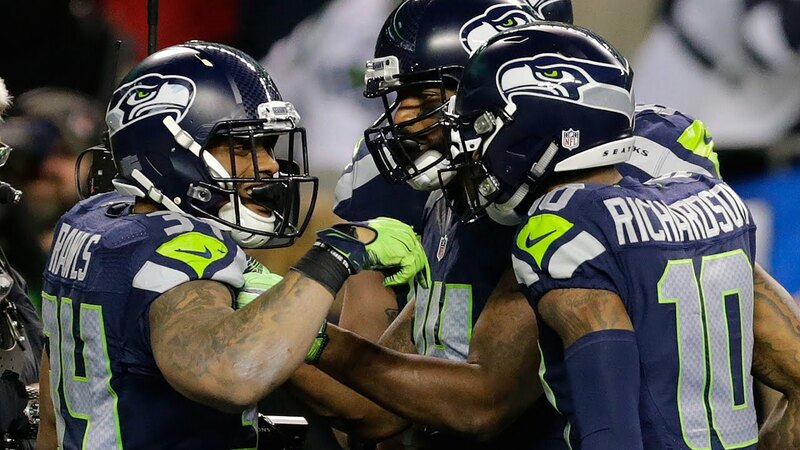 Thomas Rawls followed up a successful kick by charging through the pack to run into the end zone, and then Paul Richardson pulled off another marvellous one-handed catch - but still with 3 minutes left, the Seahawks were in search of extra comfort. They found it when Doug Baldwin took the TD from teammate Jermaine Kearse, with both players running into a similar position. 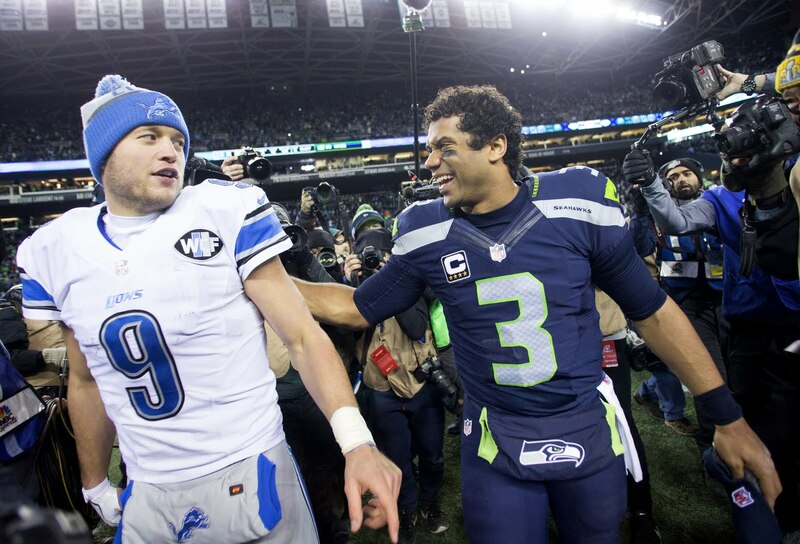 Detroit's play-off winless run dates all the way back to 1991 as the Seahawks march to the divisionals. The Pittsburgh Steelers compiled a physical showing to easily dispatch the Miami Dolphins on a cold evening in Pennsylvania. It was a dream start for the six-time super bowl champions, with an 11-yard dash being followed up by a touchdown inside two minutes from the electric Antonio Brown. He managed to escape down the left running down the sideline and into the end zone. He wouldn't be done there, because just a few minutes later a swift move from the pass to take him round the defender left him with plenty of clear space to surge towards a 14-0 scoreline in favour of his side - not a bad way to get off the mark in postseason touchdowns. Le'Veon Bell thought he had added the third touchdown later in the game but a review showed he landed just before the line. From the successive play, another review was issued for his teammate who just managed to creep in. The conversion kick clanked off the upright, putting the scoreline at 20-3. 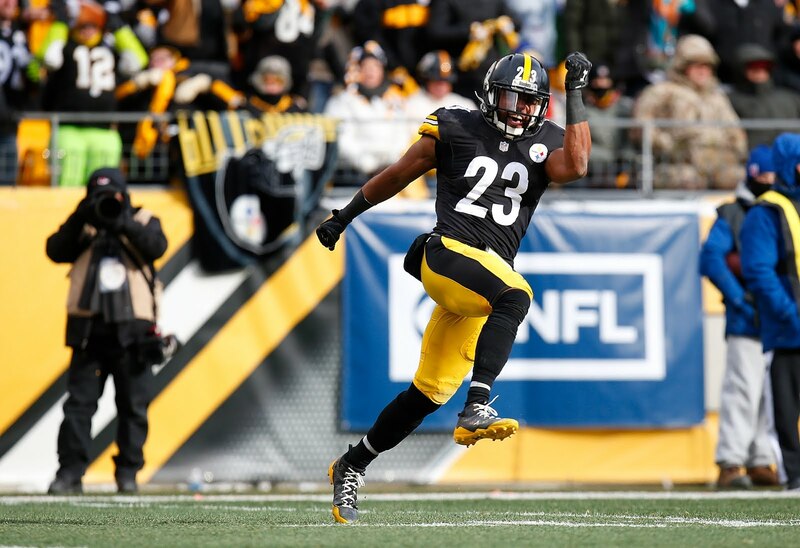 Le'Veon Bell has passed 100 yds rushing vs Dolphins. Miami Dolphins' quarter-back Matt Moore was counting his lucky stars to still be in the game after taking a thunderous illegal hit from Bud Dupree - he was probably seeing stars after that, which saw things boil over between the two teams. After both scored with kicks, Le'Veon Bell's quick footwork saw him execute a lovely outside-inside move to really wrap the game up at 30-6, even the Dolphins knowing that a consolation touchdown by Williams would barely move the needle. 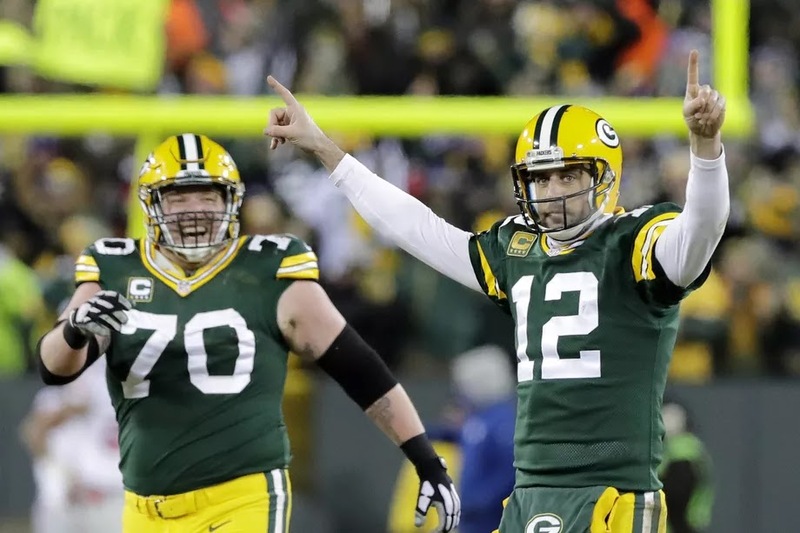 Aaron Rodgers threw a spectacular 362 yards with 4 touchdown passes as the Green Bay Packers broke ahead from a tight first half to dismantle the New York Giants. New York's receivers squandered opportunities to bag an early touchdown with Beckham Jr. and Shepard unable to grasp on to the ball in the far left corner of the end zone. They settled for a kick in which Robbie Gould converted, putting them up by 3 after one quarter. Aaron Rodgers was seeming to have an eternity on the ball with solid protection around him on offense, but nothing would come early in the second and instead another kick put the Giants up 6-0. Davante Adams eventually managed to break through though when the Packers had a first and goal opportunity near to the half-time interval, where Rodgers worked his way around to buy time and then picked out his man. They weren't done yet though. With the clock expired for the last play of the second quarter, the Green Bay quarter-back hurled it from some 53 yards towards the end zone, where Randall Cobb got under it to clutch the ball amid the chaos. Hail Mary! Eli Manning somehow matched that in the third quarter when he found Tavarres King in front of his defender, running the remaining yards and being tackled into the end zone. With less than 3 minutes left of the third quarter, things were still incredibly balanced: 14-13 in favour of the hosts. But then it would all change when Rodgers really stepped up a gear. He found Randall Cobb again who drifted for the TD, and a later kick put them up by 11 with 15 minutes of football remaining on the clock. 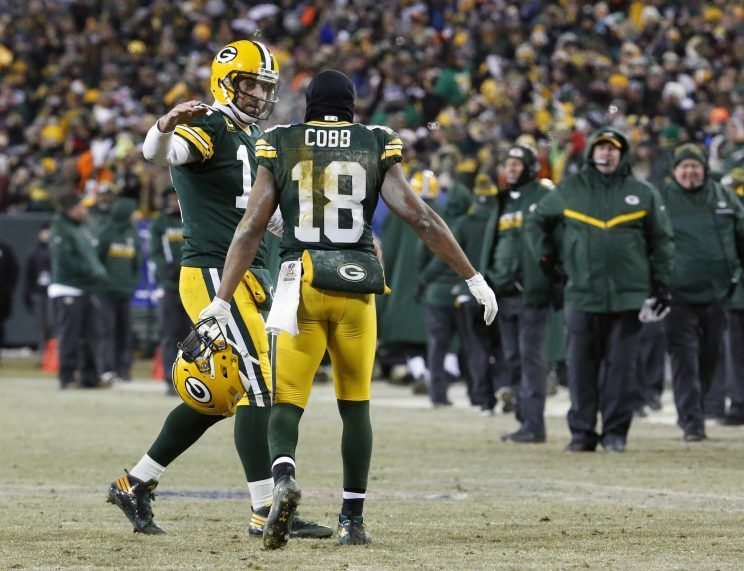 Cobb and Rodgers would connect once again for the wide receiver's third touchdown of the game, They made up more yards, while Eli was under the pressure - and Aaron Ripkowski barged his way through with a final conversion to take Green Bay up to 38. The Giants had failed to score in the final one and a half quarters. 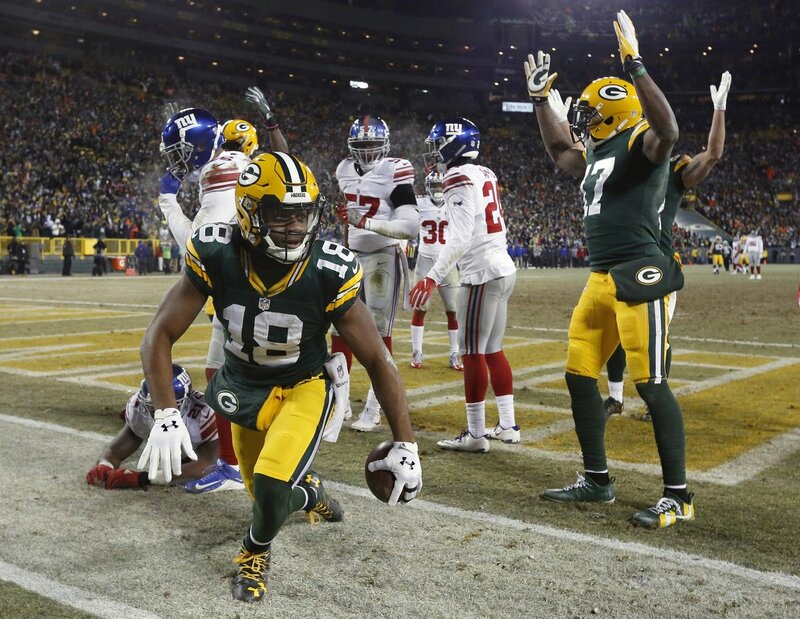 When Aaron Rodgers got hot, the whole Packers squad did, and the Giants were tumbled. New York's season comes to an end, OBJ will be under fire from the media as will Eli, but don't count the Packers out from going all the way: they smashed one of the best defenses in the league. 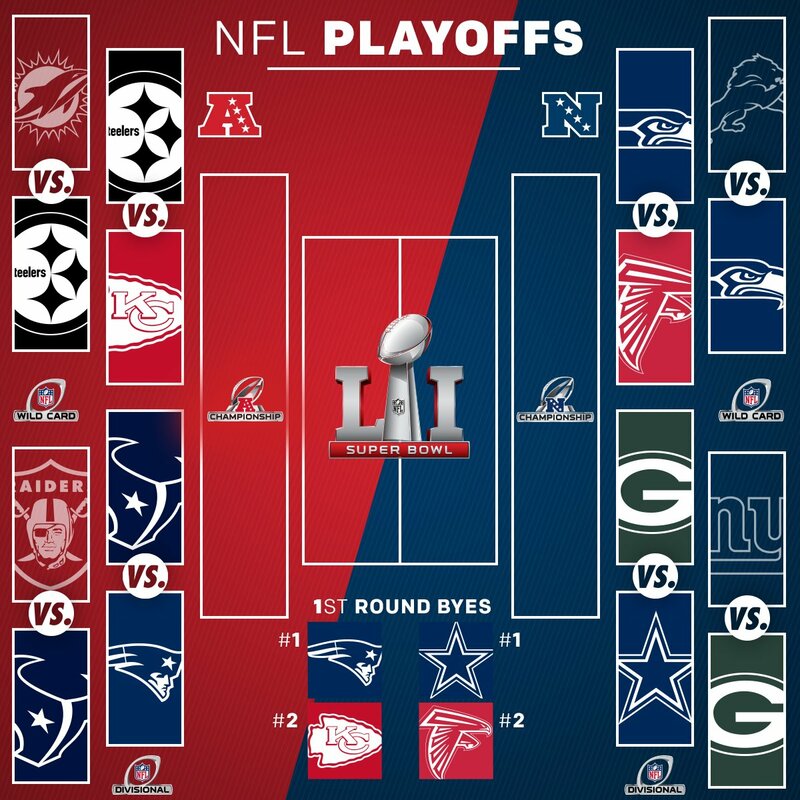 So with the wildcards done and dusted, the divisional round is confirmed. Super Bowl LI is quickly approaching. A recap for the 2017 NFL Playoffs Wildcard Weekend: Seahawks, Steelers, Texans, Packers.